Catholics for the Common Good Institute is a lay apostolate for the evangelization of culture working for a more just society. 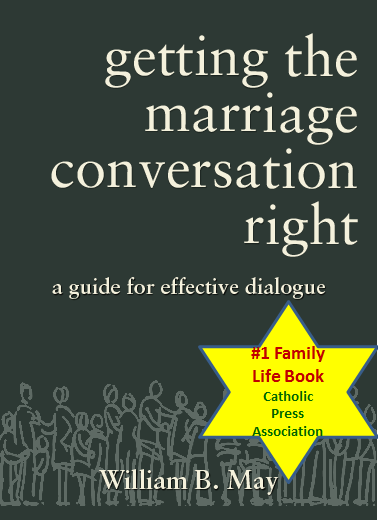 It prepares people to engage the culture with non-religious language and arguments that are based on principles of social teachings of the Catholic Church. It is open to all people, regardless of religious beliefs or affiliation, and serves culture and society in general. The term "evangelization of culture" does not mean Christianization of culture, but learning to engage the culture by making proposals anchored in verifiable truth (reality) that provoke thought and attract, rather than engaging merely to win debates or arguments. All reality comes from Christ and all reality points to Christ. Today I must repeat once again: the Church needs Catholic Action! Catholic Action has always been, and must still be today a place of formation for the faithful who, enlightened by the social doctrine of the Church, are committed in the front line in the defense of the sacred gift of life, in safeguarding the dignity of the human person, in implementing educational freedom, in the promotion of the real meaning of marriage and the family, in the exercise of charity towards the neediest, in the quest for peace and justice in the application of the principles of subsidiarity and solidarity in different social situations that interact among themselves. This movement is for people of diverse backgrounds and interests to help them become better equipped to build a civilization of love and a culture of life. This movement and mission are loyalty to the Magisterium of the Catholic Church in this non-partisan effort for the common good. Some wish merely to have better answers for their children on questions that they bring home from school. Others want to be better prepared to defend what they know is right in a culture that is becoming increasingly indifferent and hostile to moral values and our obligation to the poorest and most vulnerable among us. 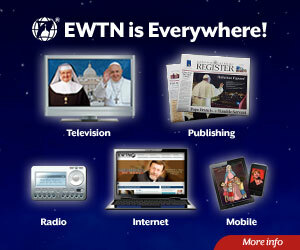 Either way, we are participating in the evangelization of culture. We often hear Catholics criticize bishops and priests for not taking more active leadership roles on cultural and public policy issues that conflict with the most fundamental doctrines of the Church. Many are surprised to learn that it is an error to demand political leadership from bishops. That is not their job. As the late Cardinal Jan Schotte, former Secretary-General of the Synod of Bishops, put it, a bishop is "neither a politician, a businessman nor an administrator, but rather has Jesus Christ, the Good Shepherd as his model." As Jesus did, the bishops teach. And they have done that well, providing the Church with a body of social teachings faithfully based on Sacred Scripture and reason. These provide moral guidance for our time and culture, but they have not always been readily accessible and many Catholics are unaware of them. In reality, a "cultural" effect can be accomplished through work done not so much by an individual alone but by an individual as "a social being," that is, as a member of a group, of a community, of an association or of a movement. Such work is, then, the source and stimulus leading to the transformation of the surroundings and society as well as the fruit and sign of every other transformation in this regard. While it is the role of the bishops to teach, the Church teaches it is the vocation of the laity to sanctify the world by their social and political participation. Therefore, it is actually our job or duty to provide leadership and engage our culture with faith and charity. As Catholic Christians, we are called to inform our consciences by our faith and to give witness to what is true for the benefit of society as a whole - the common good. This is a direct response to our baptismal promises, for which the sacrament of Confirmation has also prepared us. We must pray that the power of the Holy Spirit prepares our hearts to enable us to advocate with faith, reason, and charity. Are Christians in a privileged position for understanding moral truth? While we are Christians by our baptism, all men and women are sons and daughters of God. Christians live by their faith and reason, but all men and women of good will are able to discover moral truth. God has stamped an innate sense of right and wrong on the heart of every human person. The doctrines of all major religions support the same moral values. This innate and universal understanding of moral truth is what we understand as natural law. Our Lady of Guadalupe, patroness, role model and guide for Catholics for the Common Good. Download her story, courtesey of Catholic Information Service and the Knight of Columbus. Therefore, when we advocate public policy based on moral truth, we are not seeking to impose religious values on others. We are seeking adherence to widely understood moral principles in the interest of the common good. Since we are engaging a secular culture, we avoid making religious arguments. Instead, we strive to develop secular arguments that spring from the reasoning in the social teachings to produce authentically Catholic positions. All people arrive at personal positions on social issues through their prudential judgment. For Catholics, reflecting on the Church's social teachings can provide a deeper understanding of who we are and a deeper understanding of our obligation to each other. Many times Catholics of good faith and good will, starting with the same understanding of their moral obligations, may legitimately arrive at very different conclusions and advocate divergent alternative solutions to given social concerns. Catholics for the Common Good avoids getting involved in these kinds of issues. However, there are some social teachings that are so clear in their meaning and application that informed Catholics are unlikely to disagree. Since concerns in these areas are the only ones where united Catholic Action is possible, these kinds of issues become our sole focus. 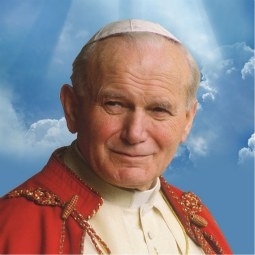 Saint John Paul II, patron and inspiration for Catholics for the Common Good. Some Catholics may have different opinions on some of the foregoing concerns. Some opinions may be based on misunderstandings or unfamiliarity with Church doctrine or the reasoning that supports it. As these issues come up, the challenge for Catholics for the Common Good will be to present authentically Catholic positions with supportive reasoning that hopefully opens minds and hearts. Prayer is essential to this new Catholic Action. In addition to social and political participation, we are asking the laity and religious communities to participate in this movement with intercessory prayer. Please also pray for the intercession of Our Lady of Guadalupe, and the person who gave us this mission, Saint John Paul the Great.